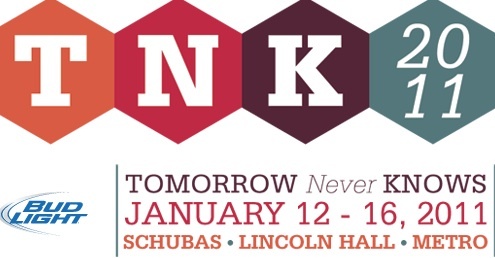 Annual winter music fest Tomorrow Never Knows kicks off this Wednesday, January 12, with no shortage of excellent bands set to play Lincoln Hall, Schubas and Metro through Sunday, January 16. Five-day passes are available here, or you can grab tickets for individual shows (though some have already sold out). If you're still trying to figure out who to see, check out some picks from WCR's own Andrew on upchicago.com. The TNK crew has also put together a very helpful mixtape of the fest's bands on Soundcloud, which you can listen to below.